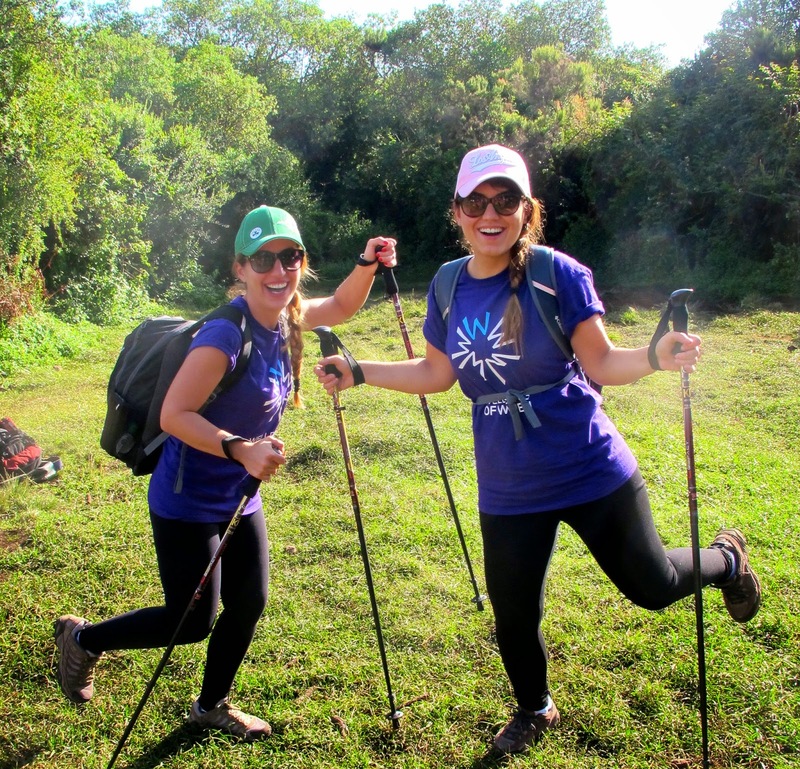 Wellbeing of Women Kilimanjaro Climb - 'Sippy Sippy' & Summit Success..! As I type the final members of our 14-strong team are making their way back to the UK. We left just over 8 days ago as colleagues, bound together by a common employer and a common ambition to reach the Roof of Africa. We return to sea-level bound by new friendships and memories that will last a lifetime – friendships built through shared laughs, fears, experiences, and a shared sense of team as we plodded our way to the 5,895m. One thing that I have learned from this adventure is the importance of celebrating success in the progress toward a goal. 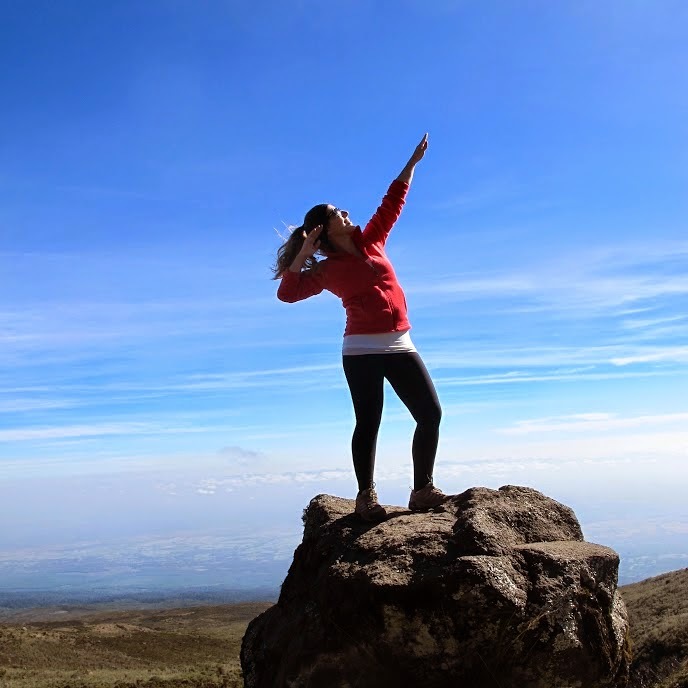 The PwC Wellbeing of Women Kilimanjaro Climb the goals were to (1) reach and surpass our 25K target and (2) challenge ourselves our our journey to the summit of Kilimanjaro. ‘Fresh’ off the plane last Saturday evening, our PwC team sat down for our very first dinner together in our hotel in Arusha, Tanzania. Anticipation was running high. It was here that I realised just how much we’d achieved already – not only had we put together a strong, connected team with a common vision and common goals, we’d also actually made the preparations to say ‘Yes, let’s do this..!’ Shiny new kit had been purchased, flights had been taken via cities who’s names we could hardly pronounce, Tanzanian visas had been sorted, overflowing bags had arrived, hotels had been booked, new boots had been broken in… and nearly £30,000 had been raised for Wellbeing of Women through the hard work, creativity, passion and commitment of the team. So much achieved, so much to celebrate - and we hadn’t even set foot on the mountain yet! The trip continued to be jam-packed with successes. At the end of our first day on the trail we’d just reached camp and Jess exclaimed, ‘Woohooo! !’ and gave Aysegul the hugest high five. That night crammed into our mess-tent, bundled into our warm jackets and hugging hot cups of tea we raised a toast to the days achievements. Everyone was smiling. Everyone was laughing. The team had made tremendous progress already – Camp 1 reached – and it was only a matter of ‘onward and upward’ to reach the following day’s objective. The days on the trail passed quickly, broken up through ‘sippy-sippy’ water drinking stops, eating stops, photo-stops, sunscreen application stops, and impromptu stops to accommodate frantic dancing to ‘Uptown Funk’ while gasping for breath… All the while conversations flowed, learning more about each other and the environments we were passing through. I’ll never forget stopping on a walk with Martin and looking up at the sea of stars above - the Milky Way stretched out in all her glory before our very eyes. Hundreds of millions of stars reflecting endless possibilities, opportunities and questions. The moon shone so bright that we were able to walk without head torches. At one point our guide pulled us aside to show the Zebra rock – a giant natural rock formation etched into the side of a hill that looked like a zebra’s stripy belly. Crickets chirped and a gentle breeze whistled through the long African grasses. London seemed like a million miles away. Onto the ‘main event’… When the team reached our ‘base camp’, 'Kibo Hut' at 4,750m (almost as high as the summit of Mont Blanc!) in the early afternoon before our ‘summit push’ the effects of altitude were starting to show. 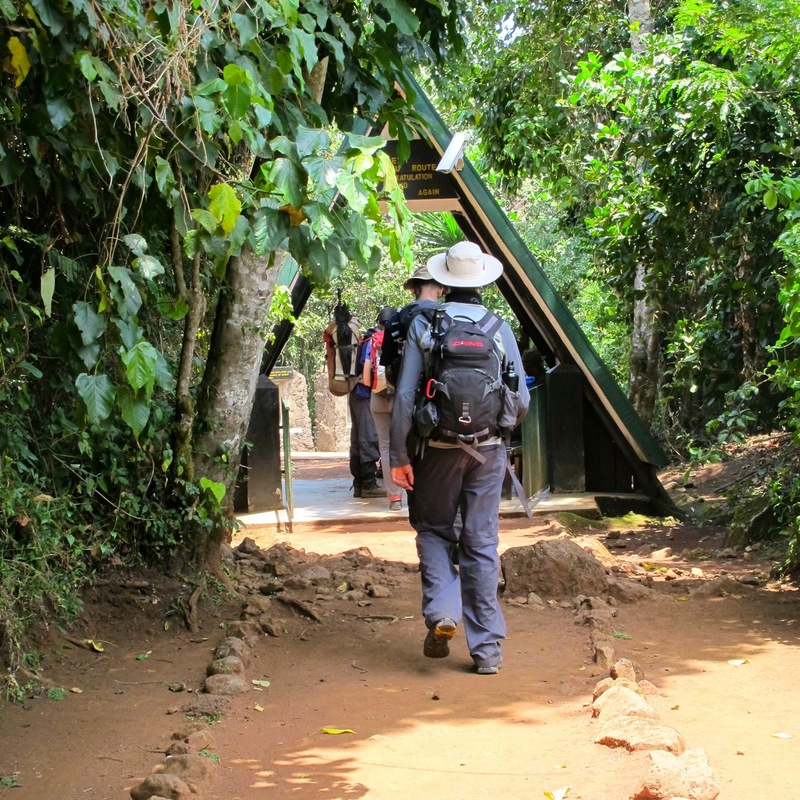 We walked across the saddle between Mawenzi peak and Kibo, with laborious breaths, our packs suddenly feeling heavier and every step harder than the last. This did little to dampen Team Spirit as we settled in for the afternoon and began mentally preparing for the challenge ahead. We would be leaving camp at 11.30pm for our ascent. That night at around 11pm I awoke from a restless hypoxic slumber to hear Richard shout over the noise of the gusty-breeze hammering down our tents, ‘Don’t worry everyone! The winds’ bark is worse than its bite!’ No sooner had we all bundled into the mess tent with head-torches aglow nervously scoffing ginger-snap biscuits and hot tea then the wind started to die-down and our guide stuck his head around the corner. It was go-time. The team performed absolutely brilliantly. Heads down, our Kilimanjaro conga-line snaked its way through the seemingly endless switchbacks and zig-zags over the volcanic scree. We stopped every hour for no more than 5 minutes to refuel and reassess our progress. It wasn’t until I looked up to see the familiar rocky final section that I realised that we’d reached the first of the three summits – Gillmans Point (5685m) – in record time and in the dark..! We then continued on with a further 3-hour round trip to the summit, Uhuru Peak - the highest point of all Africa. The route took us through a moonscape of volcanic rock and remnant glaciers with their impressive ice cliffs. I can safely say that I’ve rarely seen such an incredible sunrise. The conditions were clear and there were panoramic views over the crater, to Mawenzi and Mount Meru looking very small below us. The view from the final summit was quite literally ‘breathtaking’. Despite our cold fingers, desperate gasps of rarefied air, throbbing heads, and rosy cheeks, we were laughing as the dawn broke over the summit crater in spectacular fashion and we celebrated our combined successes. A ‘journey’ that had started with an email saying ‘Yes! Sign me up!’ led to these happy (tired!) faces, new friendships and memories to last a lifetime. Additionally, we succeeded in our challenge to surpass our fundraising target, raising nearly £30,000 for Wellbeing of Women – money that will go toward improving the health of women and babies – and leave a legacy that will long outlast aching feet, sore muscles and throbbing heads..! 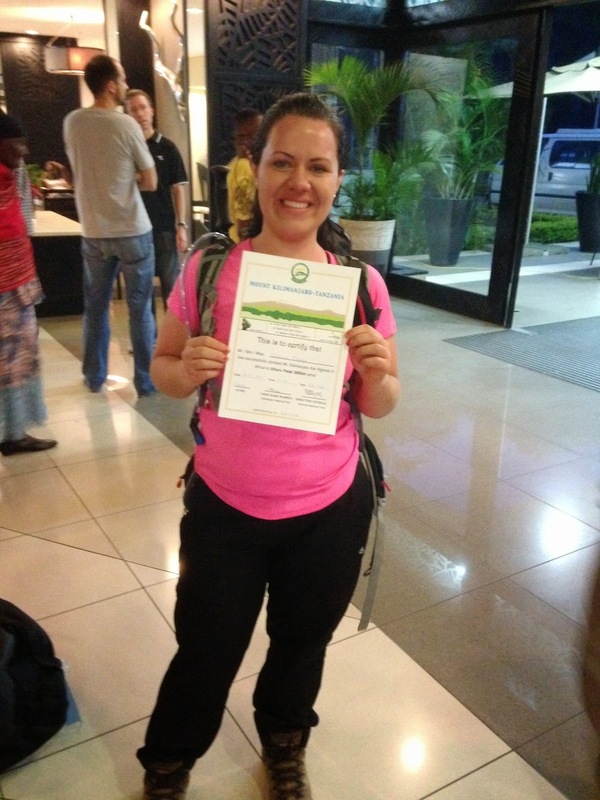 Climbing Kilimanjaro (or any mountain for that matter!) is no different from any other major challenges that we face in our lives. Whether we want to start a new career, have a healthier lifestyle or mend a broken relationship - we’re all climbing mountains of sorts. These experiences require us to be stronger than we think we are, endure more than we think we can, and become more than we dreamed possible. Over £55,000 has been raised for the Wellbeing of Women thanks to the hard work, dedication, determination, creativity and fortitude of some of the most amazing people that I’ve ever shared a mountain with. Once again it highlights why I love climbing - not only for the breathtaking views, the physical challenge, and the personal sense of achievement, but also for the inspiration gained and insights shared by the people you meet along the way. Thank you to the amazing team – Angus, Aysegul, Ele, Jaya, Jessica, Karolina, Martin, Matthew, Mette, Richard, Sophie, Victoria, Zeynep and our amazing team of porters and guides - for the wonderful trip memories; your humour, honesty, commitment, and enthusiasm through thick and thin (air) will never be forgotten and I can't wait to share another mountain with you again soon. A massive Thank You to friends and family who supported the climb. We’re most grateful for the many ways that you have showed your support – donating to Wellbeing of Women, providing us with moral support, advice on kit, and getting involved in fundraising activities. We could not have achieved our goals without your tremendous and most generous support. A tremendous Thank You to PwC and the firm’s Community Affairs Team who worked tirelessly over the past few months to make our climb such a success and who helped us to achieve our £25,000 fundraising target through support at Bake Sales, Pub Quizzes, and support with our internal campaign. Thank you for all of your encouraging words and your support. It's through the passion that you put into your work for Wellbeing of Women that we were driven to put one foot in front of the other. Huge Thank Yous to Thalgo UK for the wonderful goodie-bag which kept us feeling fabulous throughout both the run-up to the expedition and on the expedition itself. We especially loved the SPF 50 sun-cream which kept us all protected and moisturised on the mountain. An added bonus was the leg mist which kept us refreshed...! Thank you to The Jerky Group for nurturing a taste for beef jerky and biltong. Your very generous donation of beef jerky fed us and fuelled us up to the summit and provided a constant source of protein and snacking pleasure for all times of the day - breakfast, lunch and dinner along the trail and to the summit.